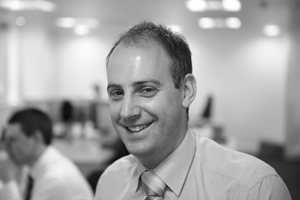 Chartered Water & Environment Manager with 15 years specialising in the Water Environment. Reputation for providing a responsive and pragmatic service. Throughout my education I was always interested in the natural environment and in particular fluvial (river) processes. At the end of my first degree I found myself within a newly established Land Drainage Team within and engineering consultancy and thrived in building a new service and specialism within the company. This was reinforced by my Masters Degree which include research in to the implementation of Sustainable Drainage Systems (SuDS). A local lad, I was born and raised in Sutton Coldfield, although attended secondary school at Queen Mary's Grammar, Walsall. During childhood (and beyond) I was obsessed with sport, specifically football, and relied on my ability to parrot learn and for writing essays to get through GCSEs and A-Levels - finding the distractions of the nightlife of Walsall (hard to believe I know) somewhat a distraction toward the end of school life. I managed to talk myself on to a Geography-Geology degree at Leeds University and managed to build enough varied friendships to have a fantastic time, but also to knuckle down and come away with a decent upper second class degree. I joined Haswell Consulting in 2000 and was immediately thrust forward to front a new Land Drainage team working with a sub-consultant and later friend to BWB - Bill Burton, later working alongside Iqbal in a more formal flood risk & land drainage team. I owe much to Haswell and the guys that work there - not least as this is where I met Andrea, subsequently marrying her and now a proud father of two boys (Thomas & Jocob). Haswell formed part of the Severn Trent Group and when the company was hit with a series of difficult claims (not associated with me, honest) it was absorbed by Severn Trent Water. The constraints of working for a utility company, specifically the removal of the opportunity to work with developers and local authorities, led me to seek pastures new - and to BWB. My career at BWB started in July 2005. The progressive, meritocracy that is BWB immediately aligned with my own thoughts and needs. I played a fundamental role in developing a Water Team within the Birmingham office, assisted in keeping a BWB presence in Birmingham through the recession and have played an integral role in the re-birth of the office and its rapid expansion between 2008 and 2013 and the strong Water team that now exists in that office. I am now an Account Manager for Water with responsibility for all Business Development activity across the Service and also Chair the Western Region Management Team. A tricky one, there have been so many success stories. Although not yet constructed I would go with St Andrews Healthcare, as this involved working with the EA and B'ham City Council, who were both initially opposed to the scheme, through to receiving their approval for a scheme that includes development in the floodplain while delivering a flood defence scheme that will significantly reduce flood risk to downstream residential property. Family days out with Andrea and the boys, playing and watching football, as well as skiing and mountain biking - when time allows! I am also a keen traveller and always keen to visit and experience pastures new. Hmmm.. - overseeing a successful group of environmental scientists and engineers undertaking a wide variety of Water Environment work with BWB recognised as a specialist Water Environment consultant and under serious consideration for the next round of EA frameworks.